When selecting welding helmets in Australia or New Zealand, it is crucial that welders choose a welding mask which meets Australian & New Zealand Standards. These welding safety standards ensure welders are protected against a range of hazards associated with welding. Find out more below. 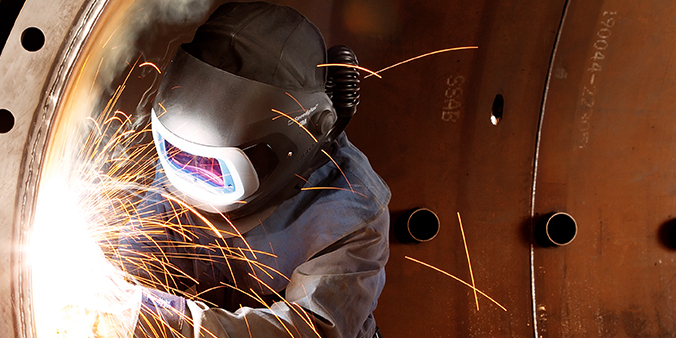 What Are the Key Australian & NZ Standards Relevant to Welding Helmets? It is worth noting that ANSI (US) and EN (European) standards are not interchangeable with Australian and New Zealand Standards (AS/NZS). Therefore, Australian and Kiwi welders should look to only select welding helmets which are fit for purpose and comply with local standards. So now you know what the standards are, how do you choose a welding helmet? Firstly, familiarise yourself with the requirements of your workplace or site by speaking to the relevant party. If you are unsure, it is best to speak to your safety engineer and/or a qualified Occupational Hygienist! Once you know what’s required (example: safety helmet, powered air) simply use the Welding Helmet Selector to find the best welding helmet for your specific requirements. If you’d prefer to search based on features, we’ve built an interactive search tool that allows you to filter your search based on welding mask features, allowing you to progressively narrow your search until you find the perfect welding helmet for you.